Four hundred years ago, a story began that has not yet ended. This book tells that story: it is about the characters that Miguel de Cervantes left without a novel. They were eclipsed by the majesty of the wandering knight but, even as secondary characters, were the protagonists of their own lives and deserve their own novels. Don Quixote’s friends, mistress, niece, enemies, squire and many more characters were left behind after his death and here Andrés Trapiello builds an enthralling novel that combines intrigue, irony and lots of travel in a skilful, thrilling narrative. After the Death of Don Quixote is a fascinating, hugely enjoyable book that uses the greatest novel of all time as its base to create what will surely be a hit of contemporary literature. 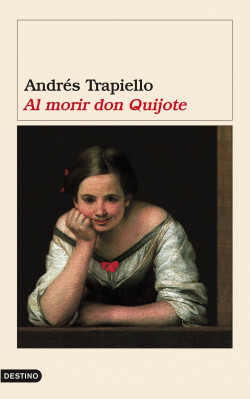 After the Death of Don Quixote by Andrés Trapiello takes up the story of the characters who were left behind after the death of the wandering knight to create an enthralling novel that combines intrigue, irony and plenty of travel in a skilful, thrilling narrative.